Anandroid is a Washington, DC based purveyor of cold electronica infused with the warmth of the human spirit. Tune in to listen to his latest adventures, weaving together the futuristic and the folkloric from around the world. He is a co-founder, resident DJ and curator of the Crepúsculo Sereno project, and is a resident DJ and curator of DC-based global arts collective Meso Creso. He curated the music lineup for both editions of Nomadico Festival and has had the pleasure of playing at a number of festivals including Cosmic Convergence, PEX Summer Festival, Gratitude Migration and Nomadico. Since 1998, v:shal kanwar has been a fixture in the Global Electronica scene, first as a live installationist and for the past many years as a DJ and tabla player who has delighted audiences across the US, Europe and India. 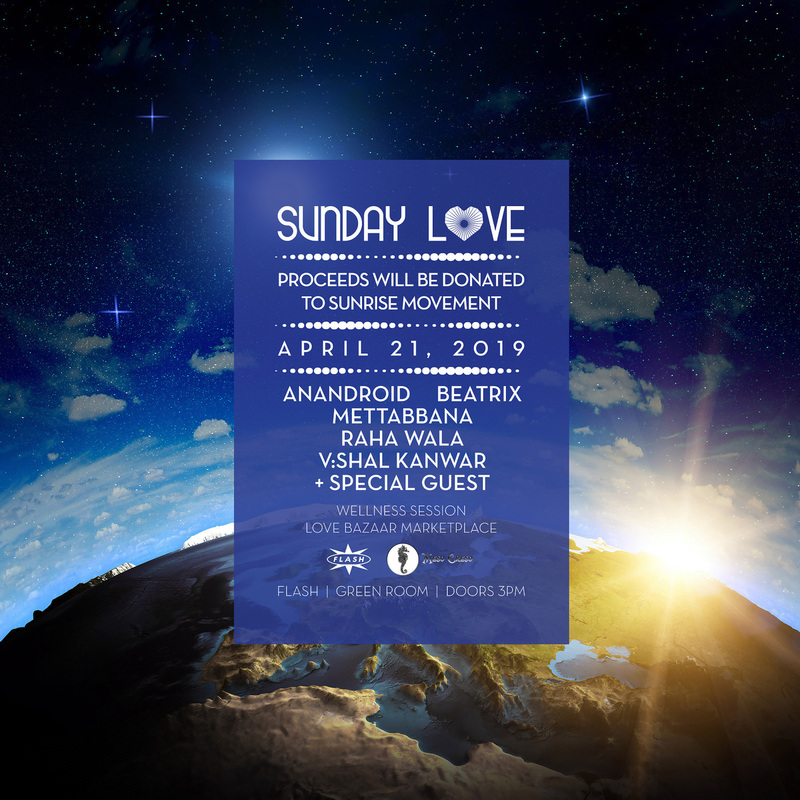 With an ever-growing list of collaborations to his credit, v:k has held residencies and featured appearance at global electronica events, including Kollektiv (NY & DC), Avaaz (NYC), electroganic (DC), SubCulture (DC & New Delhi), Mischief (DC), Freakeasy / Resonate (Chicago) and Sutra (DC). He is a co-founder and resident DJ with Meso Creso, a global electronica music camp that tours US festivals every summer, and he has produced numerous world music performances through Global Groove, which he founded in 1999. His performances alongside acclaimed artist-producers Karsh Kale, Janaka Selekta, Radiohiro, Cheb i Sabbah, MIDIval Punditz, DK a.k.a. Bollygirl, dimmsummer, Zakhm, Dhakfu, and Thievery Corporation have made an indelible impression in the world of global electronica. He has also shared the stage with globetrotting artists like ?uestLove, DJ Goldie, Freq Nasty, Nickodemus and many more. Last summer's main stage appearance at Beglika (one of the largest music festivals in the Balkans) was met with massive support in the media. v:k’s DJ sets have garnered countless accolades for their diversity, lush soundscapes and undeniable danceability. Listening to one of his sets is a sonic journey across continents and cultures — tribal African rhythms slide under Indian sufi vocals and rich organic drums, then crash into magnificent selections from Planet Bass. He is equally adept at effortlessly blending bhangra with gnawa, and rich dubstep with floor-shaking drum & bass, breaks and organic world beats. Many of his DJ sets also incorporate live classical Indian tabla, Latin & African percussion, and collaborations with a host of MCs, spoken word artists and bellydancers. As a traveling DJ, v:k has brought his brand of electronica infused with classical south asian elements to dance floors in nearly every major city in the US and South Asia, from Mumbai to San Francisco. This summer marks his return to the US festival scene after nearly two years in India and the Balkans, during which time he has collected loads of underground beats rarely heard in the US. v:k's work is equally influenced by the serenity of the Himalayas, the desert dwellers of Black Rock City, the bustle of New Delhi and the hustle of NYC. His sunrise sets at Burning Man's famed Hookahdome and with Meso Creso at PEXSF are lush and beautiful — his selection of crushing basslines at Chicago's Freakeasy and Resonate are equally satisfying to the soul.